Looking for a way to calm frazzled nerves, tune into bliss, and raise your personal vibration all at once? Our OmColorLite room awaits you! Color and its healing effects have have been and used for more than 2000 years throughout history! Many different civilizations including Egyptian, Greek, and China have experimented with, learned about and used color for healing. We are still learning today about how color affects us and about the importance in our lives. At Om2Ohm Meditation and Wellness Center we offer one-of-a-kind light, color, and sound healing sessions called OmColorLite Therapy. OmColorLite Therapy (based on chromotherapy) is a type of holistic healing that uses the visible spectrum of light and color to affect a person’s mood, physical, and mental health. Each color falls into a specific frequency and vibration, which contribute to specific properties that can be used to affect the energy and frequencies within our bodies. 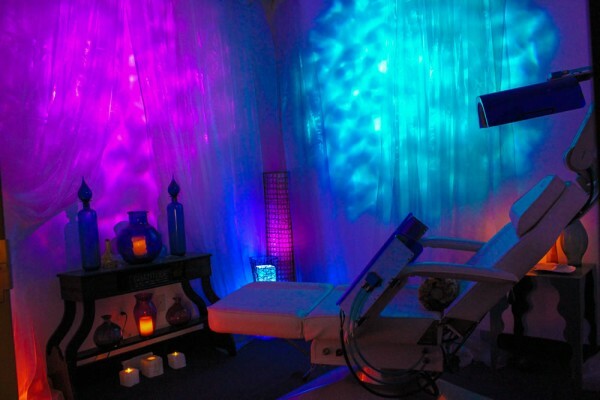 For your OmColorLite session at Om2Ohm you will enjoy therapeutic color via wall to wall narrow band color LED lights while you relax, recline, and listen to calming music infused with the healing sound frequencies of those very same colors. How do color and light provide benefits? While it is common knowledge that light enters through our eyes, it’s important to note that light can also enter through our skin! The unique frequencies and vibrations of certain colors entering the body can activate hormones causing chemical reactions within the body, then influencing emotion and enabling the mind and body to relax and heal. For example, the color blue can have a calming effect which can then result in lower blood pressure, whereas the color red is more grounding, energy stimulating, and extremely helpful for S.A.D. Controlled scientific studies have shown that listening to music is a potent treatment for mental and physical health issues. Furthermore, music therapy has demonstrated efficacy as an independent treatment for reducing depression, anxiety, and chronic pain. Music also has positive physical effects. It can produce direct biological changes, such as reducing heart rate, blood pressure, and cortisol levels. Did you know that each color has its own sound? It’s true! When a frequency is vibrating fast enough, it’s emitted as a sound and if it is vibrating much faster, it is emitted as a color of light. So, at Om2Ohm during your OmColorLite session, not only are you visually receiving color frequencies you are also listening to these color frequencies layered with beautiful music. If you were to hear these frequencies on their own, without music, they would sound like varied tones and pitches in resonance. Sheri Rathburn is a certified Sound Healer and she provides these relaxing and life changing therapy sessions. These sessions are unique for each person. Using Sheri’s exceptional empathic and inutitive skills coupled with Sound Healing and powerful energy techniques, Sheri will help to release any patterns,emotions, or stuck energy. 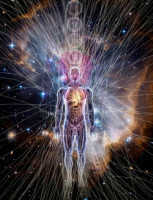 The client can the easily reconnect to their deeper nature and access their own inner guidance. Enter a deep state of meditation effortlessly to experience higher consciousness… Through this deep meditation session through color, light, and sound, you can raise your vibration and safely open yourself up to higher levels of awareness!